Microphones already expand what we can hear. New devices can sonify an unheard world even beyond sound. We covered the use of sound as a way of conveying gravitational waves, waves that – while not sound – are far easier for both scientists and lay people alike to grasp when translated to the audible spectrum. And we’ve already seen a world of microphones and devices by Jonáš Gruska, whose LOM label shares both the electronics and music made with them. Well, now Jonáš is back with a new generation of devices. Here’s what they are and how their results sound. Elektrosluch 3+ is an instrument that generates sound from EMF radiation. New in this version: better signal-to-noise ratio, a wider frequency response at both the low and high ends, and a nicer (more purple) cover. 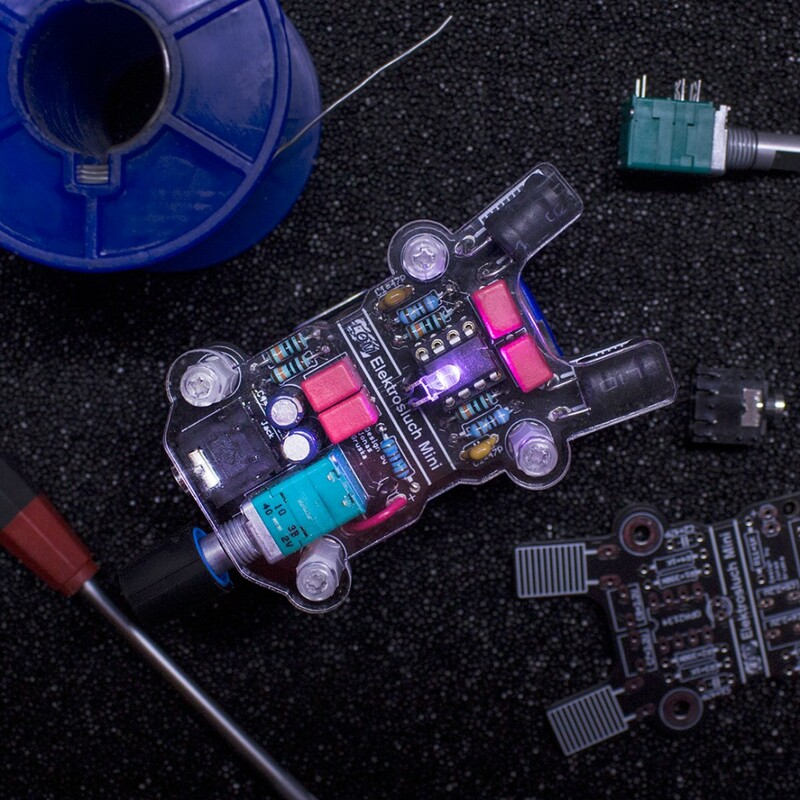 Elektrosluch Mini is a kit version for DIYers – smaller, cheaper, and for those who like to solder. I have a special attachment to this one, as we helped inspire its creation and debuted it at special workshop/performance CDM hosted in Berlin in December. Elektrouši is a pair of electromagnetic mics you can use with an existing portable recorder (like a Zoom) or for expanded range on your Elektrosluch. Elektrosluch Priezor (pictured at top) is a hyper-sensitive upcoming instrument that will detect atmospheric sounds in VLF radio bands – very cool. Looking forward to that one. But let’s give the new Elektrosluch 3+ a listen, with a wild, wild ride on a tram and bus Jonáš recorded. And yes, if you’re thinking this could completely change your commute, you’re right. (These are battery powered, so you can literally go around listening to these alien sounds instead of, like, music.) The sounds are CC licensed so you can sample them if you choose.